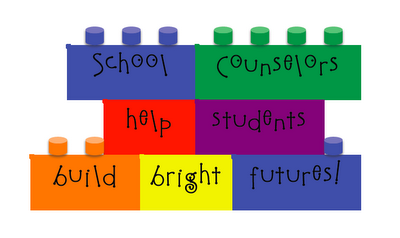 Welcome, and thanks for stopping by the HES Counseling Program Webpage! My name is Ashley Allen, and I am thrilled to be your child's school counselor. Many people aren't quite sure what an elementary school counselor does (I can assure you, we do a little bit of everything! ), so please take a look around to see what services I provide to our students throughout the year. I look forward to getting to know our students and their families even better during this school year, and want to take this opportunity for you to get to know me just a bit better. I am entering into my seventh year in education as we begin the 2016-2017 school year. I earned my Bachelor's Degree in Early Childhood Education from the Georgia Southern University, received my Master's Degree in School Counseling from Georgia Southern University, received my specialist degree from Fort Valley State University, and taught third grade for several years. I am married to Miles, a physical theraphy assistant at OrthoGeorgia, and we have two beautiful children, Bailey and Brooks. When I'm not working, I can most likely be found spending time with my family, lounging with a good book, or enjoying the outdoors. I consider myself one of the lucky people that can honestly say they genuinely enjoy their jobs; I hope to help guide my students into finding similar fulfillment in their future. If I can be of any support to your family throughout the school year, please don't hesitate to call, email, or set up an appointment to meet with me one-on-one. The Samuel E. Hubbard Elementary Counseling Program provides a comprehensive, developmental school counseling program to all students. School counselors actively support students in reaching their fullest potential through addressing the academic, career, and personal/social needs of all students to acquire the knowledge, skills, and experiences necessary to build meaningful and productive lives in a global society. The students at Samuel E. Hubbard Elementary School are inspired by a future love of learning while striving for academic excellence and maintaining a focused effort of being respectful, safe, positive, and responsible in our actions to be college and career ready citizens. All students are involved in a comprehensive school counseling program that aids intentional partnerships between the school, family and community. All students will achieve their fullest potential, making a positive difference in a global environment. HES School Counseling Program is a recognitized ASCA (American School Counseling Assocation) Program School. This is due to HES School Counseling Program commitment to developing, and delivering a comprehensive, data-driven program in accordance with the ASCA National Model: A Framework for School Counseling Programs. If your child is being bullied or your child has mentioned that they know someone else who is being bullied, then please go to the forms section and complete the students bullying report form and have the student bring it to school the next day. Hubbard Elementary School’s Mentoring Program Needs You! Why Should a Person Become a Mentor? Your influence can help build a student’s self-worth and demonstrate that someone cares. These students may have a better chance of being successful and productive in their school, in their home, and in the community as a result of your support. Benefits for the students include higher grades, fewer absences, career exploration, and experiencing the care, support, and encouragement of a role model. For the mentor there is a challenge and satisfaction derived from helping students overcome their challenges. Responsible, caring adults who are willing to share their time on a consistent basis. A mentor commits to meet with their student once a every other week, for at least 30 minutes, for the entire school year. A mentor will become a friend, tutor, and role model to the students. A mentor may find themselves sharing: breakfast, lunch, tutoring, homework, reading, computer activities, art activities, career awareness/exploration or other interest with their students. Elementary mentoring is done on the school campus in public viewing areas during regular school hours. The media center is typically the best area for mentoring. Generally, the best time for mentoring at the elementary level is during lunch. Other schedules can be arranged by working with the student’s teacher to determine the best time of day for mentoring. The mentor should try to visit the student on the same day and time from week to week. Contact Ashley Allen, School Counselor, at 994-7066. Ext 1. The mentor will have to go throught the volunteer process that Monroe County Schools has adopted. A background check will be conducted. Background security checks takes time and is important to the safety of our children. We appreciate your cooperation with this process. Upon arrival, mentors will participate in an orientation session with the school counselor and meet their new mentee.